There is simply no question that school safety is one of the top priorities facing local, city, county, and state governments across the country. Students, parents, and teachers alike are demanding effective answers to handling various emergencies that occur on school grounds. 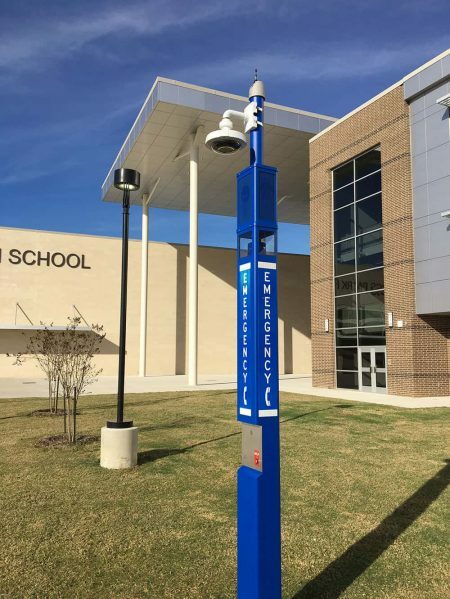 Recently, Houston’s Cypress-Fairbanks Independent School District (CFISD) made a tremendous leap forward at all school campuses in the district through the smart use of community education bond dollars – they installed CASE Blue Light Tower Emergency Communication Systems. 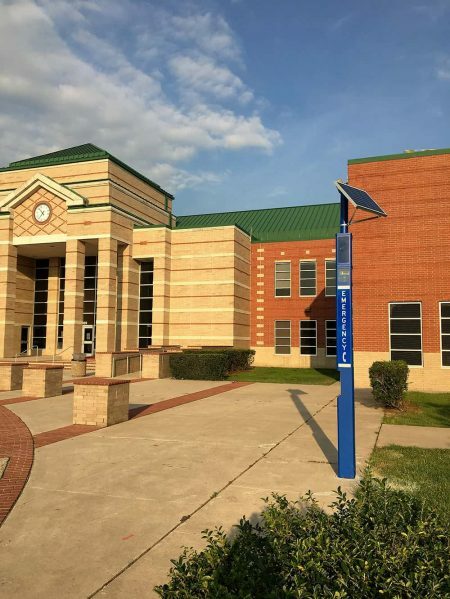 50 CASE Blue Light Towers were installed in just 10 days throughout the district, typically with two installations per campus (one at the campus entrance and another at the rear of the campus – athletic field, parking lot, etc.). With the exception of a few hard-wired units that included video surveillance equipment on board, the entire project runs completely on solar power, with wireless cellular connectivity for voice and video, and caller ID and GPS location functionality, installation could be completed without disruptions to campus buildings or communication, and without additional IT or school system support necessary. One of the most interesting aspects of the CFISD project was that the $775,000 total project cost was met completely through community bonds. There was no need to wait for the state legislature to approve a budget request, nor did the school system need to request and pay for additional police officers or security personnel on campus. Schools also did not have to worry about managing its policy on the usage of personal mobile devices by students during school hours – they could continue to stand behind authorized use only limitations without any negative impact on student safety. As well, the neighborhoods surrounding school campuses (the same ones who helped fund the bonds) now may benefit from a public access emergency communication system conveniently nearby their homes, and always available even during power outages. Want to speak with CASE about making your location safer?